Will Iceland Get Another Exemption Under the Kyoto? Minister of the Environment Thórunn Sveinbjarnardóttir says that every nation needs to be responsible after the Kyoto Protocol expires in 2012 and that special needs will not be relevant. According to her, Iceland should not apply for further exemptions. Post-Kyoto negotiations will take place at the 2007 United Nations Climate Change Conference in Bali, Indonesia, between December 3 and 14. Today at the annual general meeting of the Icelandic Glaciological Society the geophysicist Páll Einarsson confirmed that a volcanic eruption is imminent in one or two years time in Upptyppingar near Askja. He said this was a direct result of the inundation of Kárahnjúkar. He also claimed that the earthquakes that had started in February, ceased temporarily when the inundation was halted, but as soon as it was continued the tremors began again. 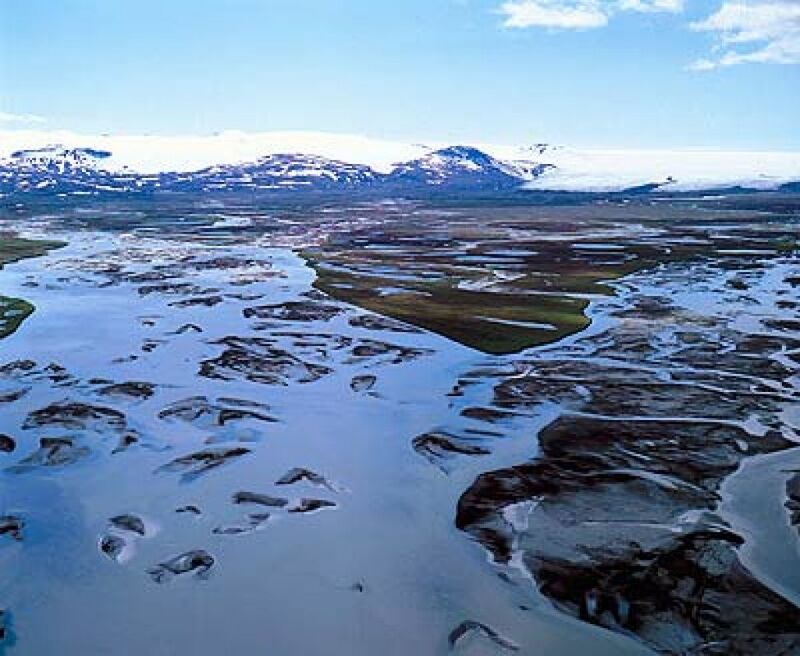 The water in Halslon weighs two billion tons now and over 4000 earthquakes have been recorded since February. Einarsson added that it was a mystery why the effects of the inundation were felt 20 kilometers away from Karahnjukar, instead of in the immediate vicinity of the dams. Is the Energy on the Doorstep? Many things have been said and written about plans for ALCOA´s aluminium plant at Bakki near Húsavík. One after another, important men have praised the idea and by now the only political parties not supporting it are the Iceland Movement and the Left Green party.